In the late forties US car manufacturers consisted of the "Big Three" (General Motors, Ford and Chrysler) plus a few smaller companies especially Nash, Hudson, Packard & Studebaker. Of the smaller companies, probably the most dynamic was Nash Motors (The automotive arm of Nash-Kelvinator), which was led by the innovative George Mason. Whilst the other companies continued on from where they had left off before war-time, Nash Motors felt that the market had changed. They realised that women now played an ever increasing role in US society, since they had become involved in wartime production. Women were now more likely to be working, and also families were now moving out to the suburbs, and there was a real need for affordable transportation as many families would need two cars. If Nash Motors were to survive, they would not be able to tackle the "Big Three" head-on with similar cars that they produced. Instead they would be better off to try to fill "niche" markets that the other manufacturers were not addressing. With this in mind, George Mason had his engineering team investigate many possible cheap basic transportation solutions. His attention was drawn to a freelance automotive designer named William Flajole, who had also identified that a small car built to American standards had a potential market. 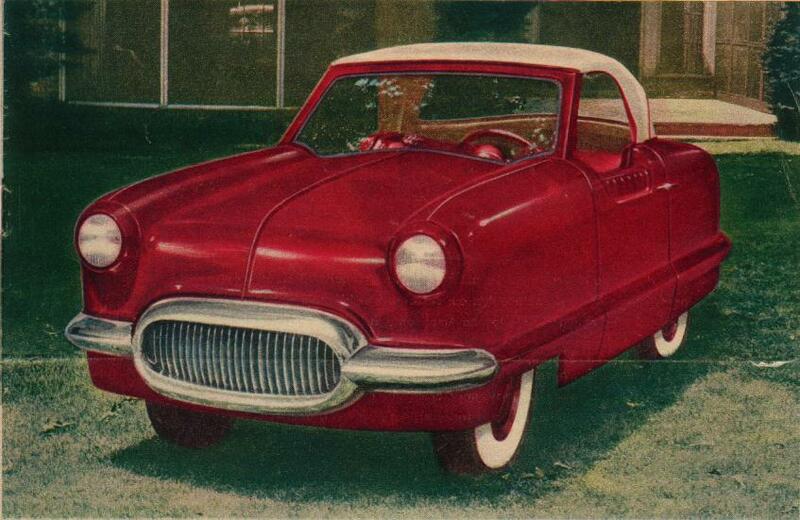 Nash Motors commissioned Flajole to build a prototype vehicle using this concept, and incorporating several innovative features. This prototype was called the "NXI" (Nash Experimental International). Mason was still not sure whether to put the project into production, so he set about displaying the prototype at "Surviews" (Survey/Previews) around the country, and inviting automotive executives, motoring journalists etc. to view the NXI and give their opinions via a Questionnaire. The car was shown with two engines , a small Fiat (Italian) engine and a larger Standard (UK) engine. Already Nash had realised that such a vehicle would be difficult to make in the US where the factories were geared to larger cars and engines.